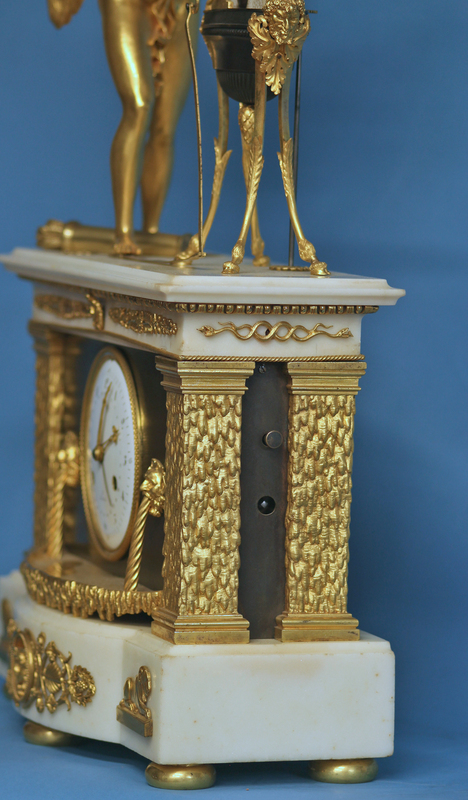 c.1800 Animated French Ormolu, Patinated and White Marble Mantle Clock. 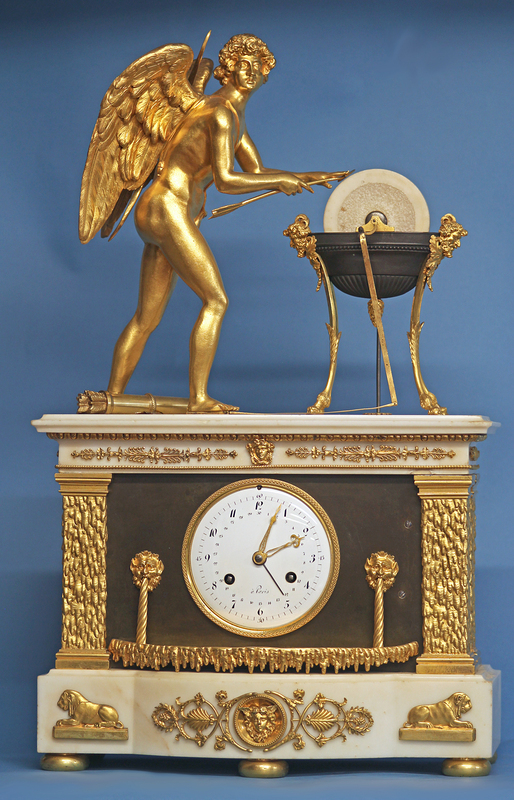 A very rare early empire mantle clock that depicts Cupid sharpening his arrow on an animated stone as the clock strikes each hour. The architectural case has the clock in the center flanked by ormolu river god mounts and stylized corner pilasters. The molded white marble top and the D-shaped base are decorated with applied ormolu mounts that include masks, acanthus leaves and reclining lions and the whole is supported by five bun feet. 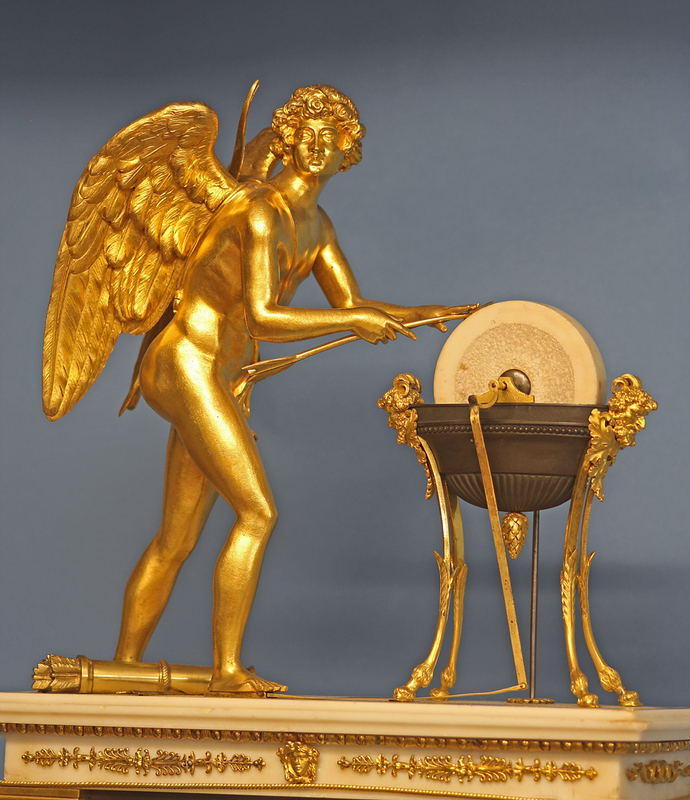 Above is Cupid, god of love, carefully sharpening one of his magical arrows. 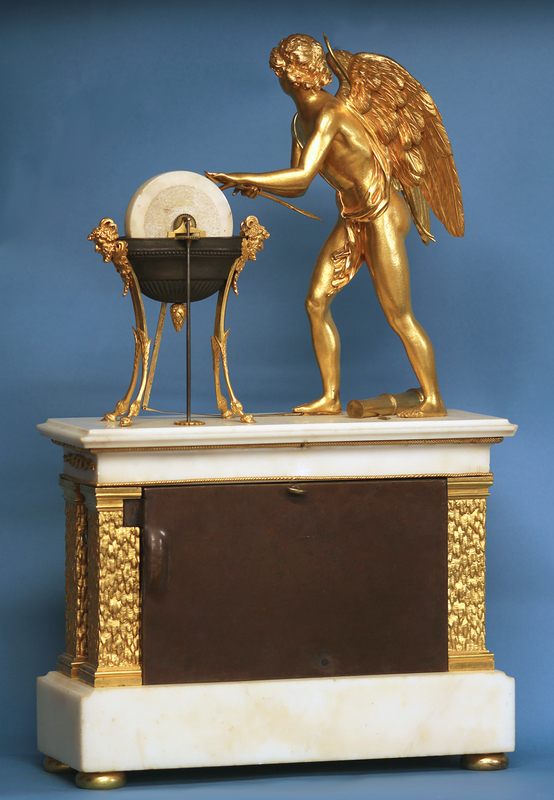 The ormolu figure with his wings outstretched, his bow slung over his back and his quiver and a lose arrow at his feet leans over the decorative grinding wheel. 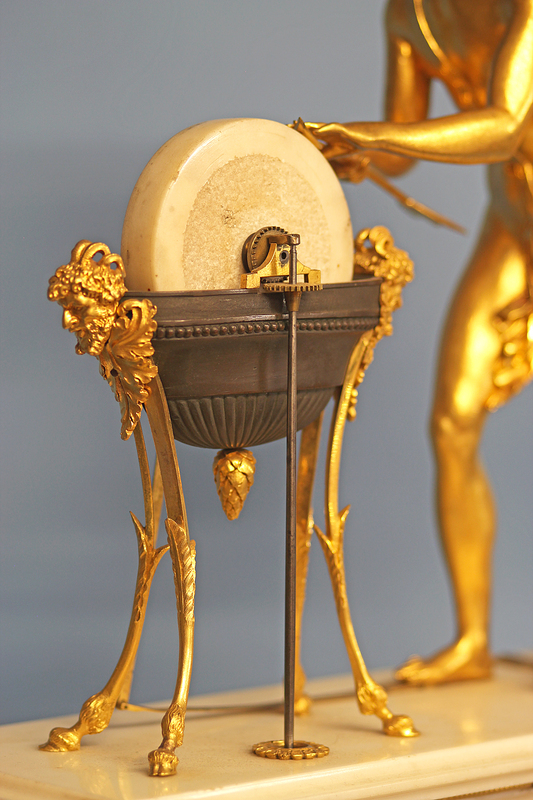 The marble wheel is supported within a cast gadrooned patinated tub with four curved ormolu legs and two well-cast satyr mounts. 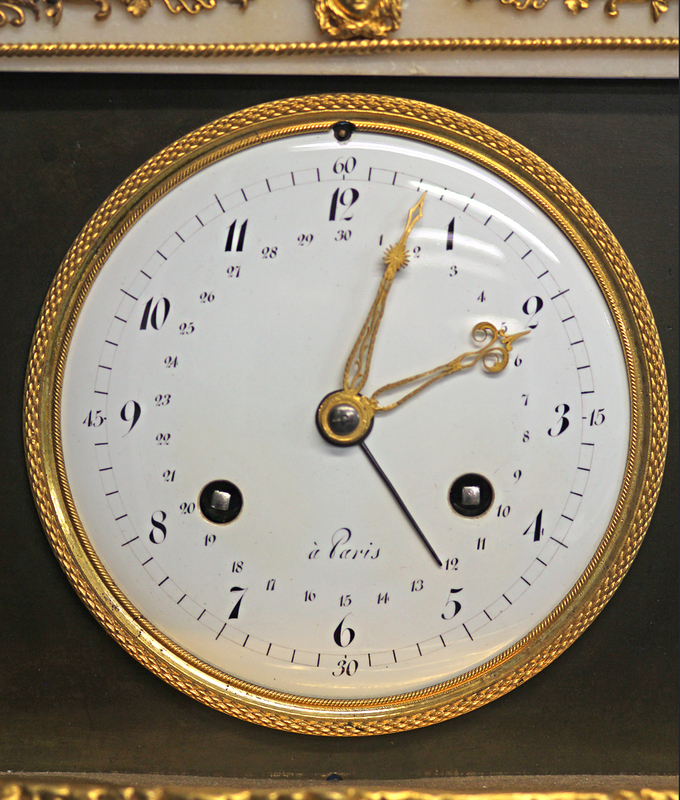 The finely lettered white porcelain dial has Arabic numbers for the hours, 15-minute marks and the 30-day calendar. Finely cast and finished ormolu hands are for the hours and a straight steel cut hand is used for the calendar. The eight-day time and strike movement still retains its original silk-thread and strikes on a bell. 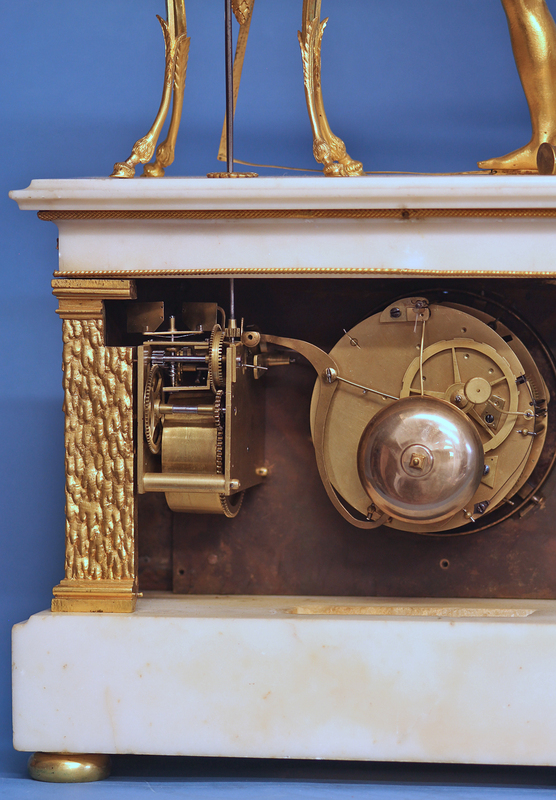 A separate clockwork movement is wound and manually activated out the side and is automatically activated by the clock each hour for 12 daytime hours over two days. 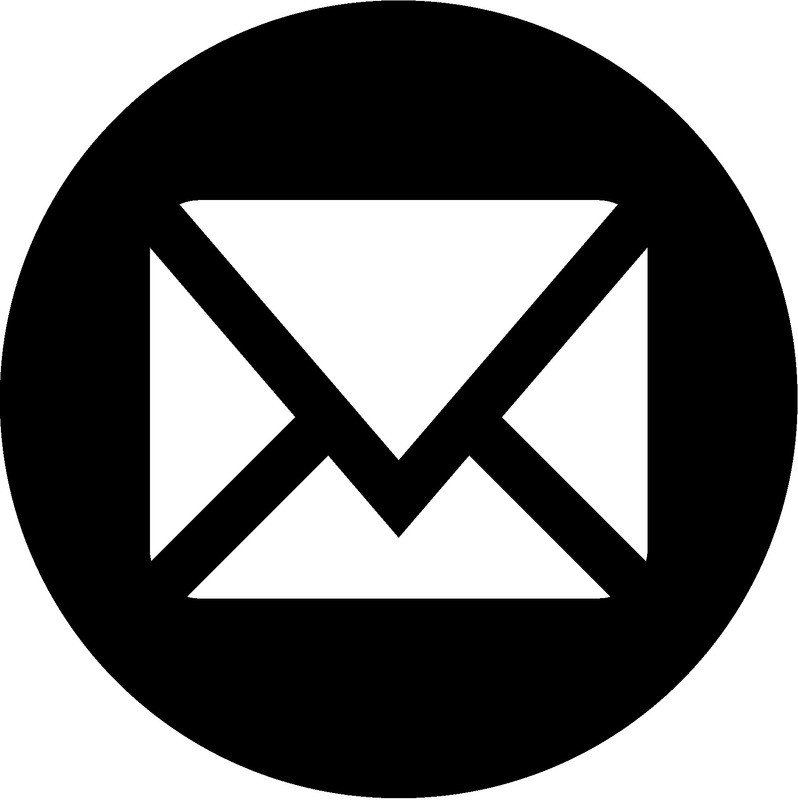 There is an am/pm lever that allows the grinding wheel to spin between 9am and 9pm each day. The clock still strikes through the night, but without the benefit of the animation. 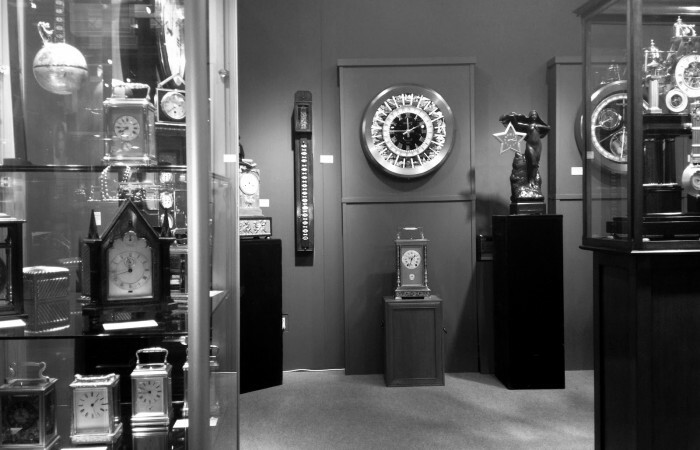 A video of the clock can be seen here.